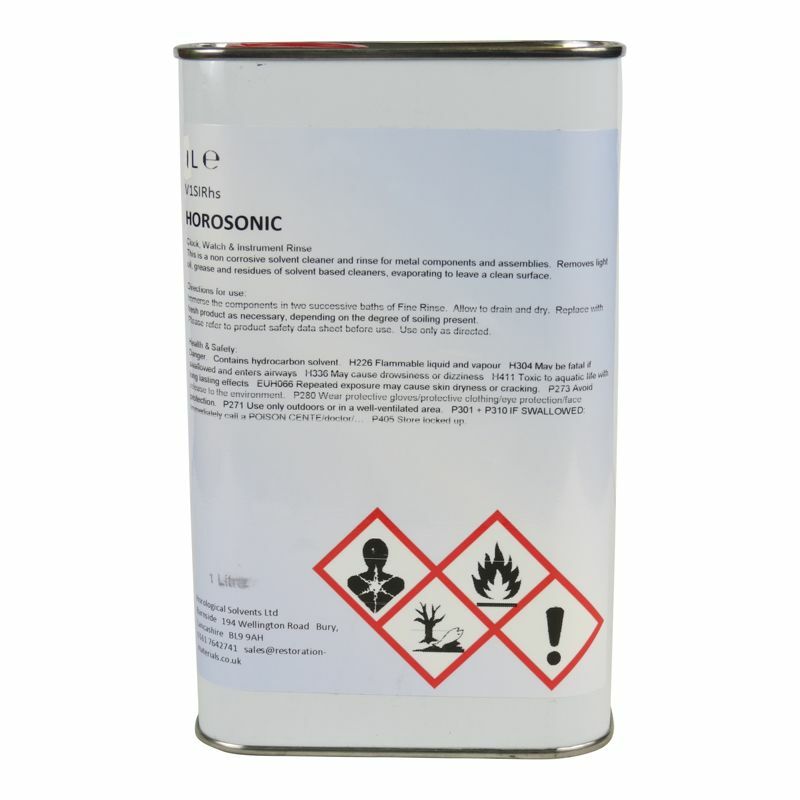 This is a non corrosive solvent, suitable for rinsing or solvent cleaning of all metal parts and instrument components. Removes light oil, grease and residues of solvent based cleaners, evaporating to leave a clean surface. Immerse the components in two successive baths of Horosonic Rinse. Allow to drain and dry. Replace with fresh product as necessary, depending on degree of soiling present.